General Counsel Tyler Gray is now president of Louisiana Mid-Continent Oil and Gas Association, the association announced today. Gray, who has been at LMOGA since 2014, served as the interim president following Chis John’s November announcement that he would be leaving the position after 11 years. Before becoming LMOGA’s general counsel, Gray served as an attorney for the Office of Conservation, at the Department of Natural Resources. Gray, a native Texan, was raised in Falls Church, Virginia and attended James Madison University. 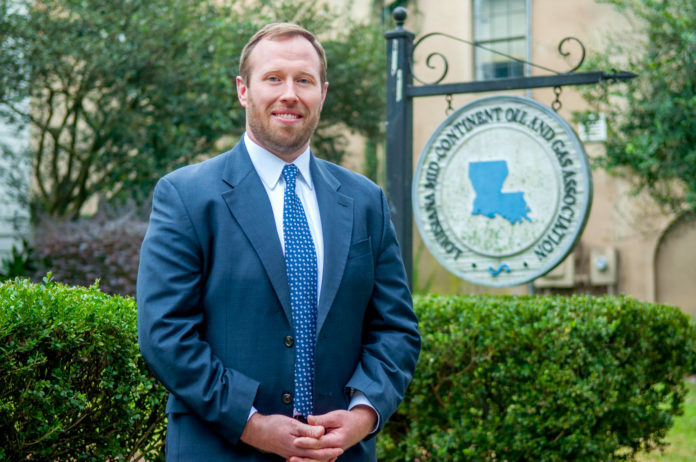 He earned his law degree from Loyola University of New Orleans, College of Law and his Master of Business Administration from Louisiana State University.